Debuting the series of paintings called “Metallic Reflections.” Part of a group show also featuring Nathan YoungBlood, Al Qoyawayma, Les Nahminga, Juan de La Cruz, and Tammy Garcia. La Fonda Hotel, Santa Fe, NM. Live painting demonstrations and artwork for sale during the times of the residency in connection to Santa Fe’s new Artists in Residence program. Pat and I will be participating again in Indian Market. From their website: “It is the largest and most prestigious juried Native arts show in the world and the largest cultural event in the southwest. The yearly event is held during the third weekend of August. Over 1,100 Native artists from the U.S. and Canada sell their artwork.” We hope to see you there! Artist Talk with Marla Allison, 23rd march 3-4pm at Friends Meeting House BS6 6JE. ‘We Are Native Women’ celebrates the strength and diversity of Native American women through the recent work of twelve contemporary Indigenous North American artists from the USA and Canada. I will be participating in a month long artist residency at the Abu Dhabi Art Hub with four other Native Artists. Indian Pueblo Cultural Center, 2401 12th St NW, Albuquerque, NM. Allison’s show will also be the first new art exhibit at the IPCC since the center marked its 40th anniversary in April 2016. 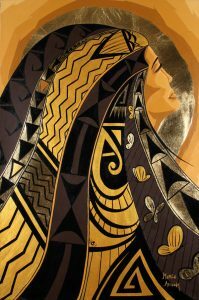 Allison is known for vivid paintings that depict the landscapes, wildlife, architecture, and particularly the people of her native New Mexico, as well as for experimenting with geometric patterns to depict living forms. 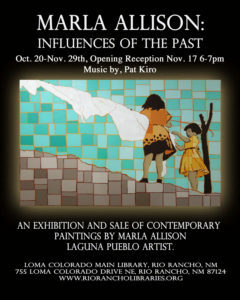 She deliberately draws from the artistic traditions of Laguna Pueblo in order to enrich her own work. 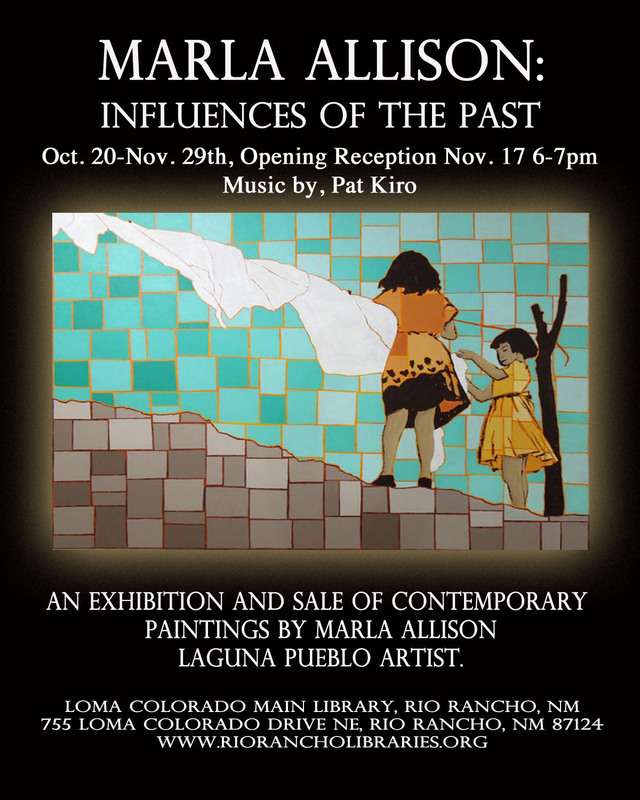 An exhibition of contemporary paintings by Marla Allison, Laguna Pueblo artist. Marla embraces the traditions of Laguna, NM and it’s history from her perspective. She creates her work stroke by stroke to bring a new vision of what is before us and to embrace what our forefathers have created so we can be who we are today. Marla Allison is an invited speaker for the Arizona Women’s History Alliance on October 7th, 2016. Steele Auditorium, Arizona Heritage Center at Papago Park, 1300 N. College Ave., Tempe, AZ 85281. Join us for the Marketplace Weekend!